For these women, safety was a real issue; as they had all volunteered in a University of Wisconsin–Madison study focused on balance. 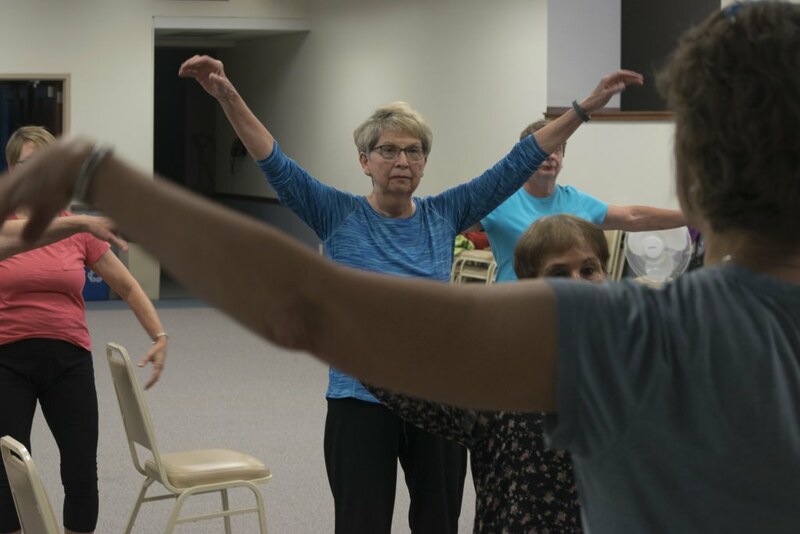 Specifically, could a stripped-down tai chi class, taught in just 12 sessions and also practiced at home, improve balance in people over age 65 who were concerned about balance? Balance and falls are a major issue for older people, says Betty Chewning, a principal investigator on “Improving Balance for Older Adults,” a grant funded by the Institute for Clinical and Translational Research in a collaboration with the Community Academic Aging Research Network (CAARN) at UW–Madison. Jane Mahoney, director of CAARN at the School of Medicine and Public Health, physical therapist Kristi Hallisy, an assistant professor of family medicine, and Dale Wilson of the Sonderegger Research Center research program manager were the study’s other leaders. The scientific question about Tai Chi Fundamentals and balance will now be analyzed, based on tests performed before and after the course, but the participants I talked to had no doubt that it was working. 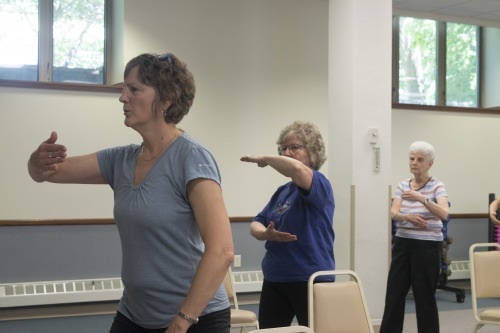 The key to the program, Chewning says, was its design by master Tricia Yu, who introduced the ancient practice to Madison in 1974 and in 1996 developed the simplified Tai Chi Fundamentals Program for older adults with an emphasis on promoting strength, balance, coordination, mental focus and peace of mind. Yu also developed the curriculum, book and DVD, and trained the instructors for the grant. The six classes, held last fall and this spring in La Crosse, Milwaukee and Madison, each had 20 participants.